Now that the holidays are mostly gone, many of us are looking for ways to pay off the holiday bills that we have built up. Usually the first option that comes to everyone’s mind is their tax refund, and we now scurry to get all our tax information together just like we are scurrying for those gifts for friends and family. Many taxpayers make an attempt to prepare their taxes on their own without the assistance of a tax professional by using off the shelf software and income tax books. One of the main books that taxpayers use is J.K. Lasser’s Your Income Tax editions. These are rather nice references for a taxpayer to have that include a wealth of information; however the current version (2009) was printed before all of the current tax changes were put into effect. If you were one of the taxpayers that bought the 2009 edition, be sure to check their website for updates to the printed information or speak to a tax professional that has the proper training regarding the new tax law changes. While working at a client today, one of their customers overheard us talking about the upcoming tax season and asked if I did taxes. After responding that I did the individual asked me a couple questions about how the IRS handles issues when one spouse owes and the other spouse has debt or other obligations that have not been paid. After telling the taxpayer how it was handled I thought to myself that many other taxpayers may be in a similar situation. The situation can usually be handled using the IRS injured spouse or innocent spouse rules. Injured Spouse – an injured spouse occurs when the IRS attempts to seize the refund on a jointly filed return when only one spouse owes debts or obligations. Relief for the “injured” spouse can be obtained by filing Form 8379. Innocent Spouse – an innocent spouse occurs when the IRS seizes the refund of a jointly filed return when only one spouse made fraudulent reports on a joint return. Relief for the “innocent “spouse can be obtained by filing Form 8857. There may be additional steps that may need to be taken, so be sure to speak to your tax advisor before filing in either situation. Recently our office had to deal with a system crash of one of our field laptops. 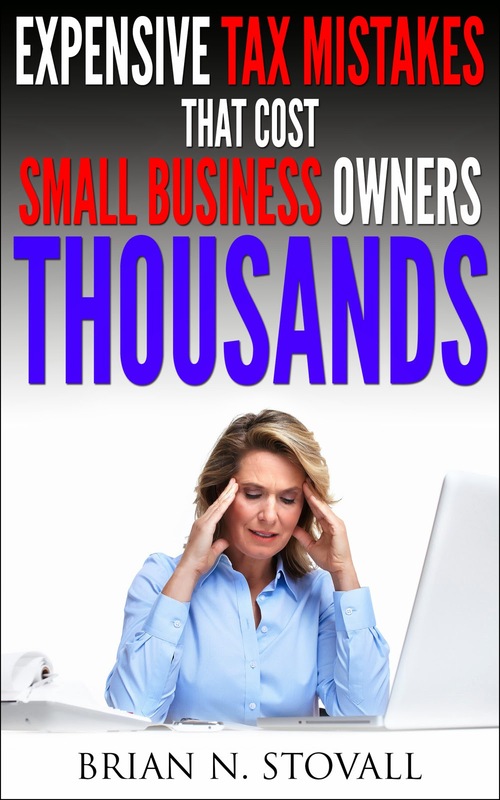 Usually for a small business, a system crash can be a major setback. There are ways to minimize the chance that a system crash does not send you business into a holding pattern and by following a few steps a small business can save money in the long run. Here are a few process and procedures that our firm uses to minimize the chance of lost data when a system crashes. 1. Password protect any (and all) computers – whether they are used within the firm or in the field. 3. Create (and use) a backup schedule – for very critical data, backup on a daily basis. These are just a few of the processes and procedures that our office uses to ensure that our critical data is always accessible. If the procedures were not in place, there would be increased costs to retrieve data and/or rebuild data. Setting up similar procedures in your small business can save you money in the long run. As for the laptop that crashed, we are still awaiting its arrival from tech repair which is still under warranty. This past week while getting ready for tax season, I had the chance to review some of the changes and requirements for S-Corporations (thanks to the IRS and NSA). One of the most common mistakes that S-Corporations make occurs in the area of owner/employee compensation. Typically owners of S-Corporations are considered employees that must take “reasonable compensation” when they perform services for the S-Corp. Once a reasonable compensation has been established, owner/employees can take additional income from the S-Corp as distributions that will not be subject to employment tax rules. The main question(s) that arises are what is considered reasonable compensation, and how is that compensation validated. The best way to determine reasonable compensation is to look at what the market pays for similar work performed and possibly reviewing information from the employment section of the newspaper or websites. Structuring your compensation plan with your tax advisor will assist S-Corp owner/employees and ensure that their returns won’t come up for audit. Audits of S-Corps increased in 2006, and by taking the necessary steps owner/employees can have less worries at tax time.